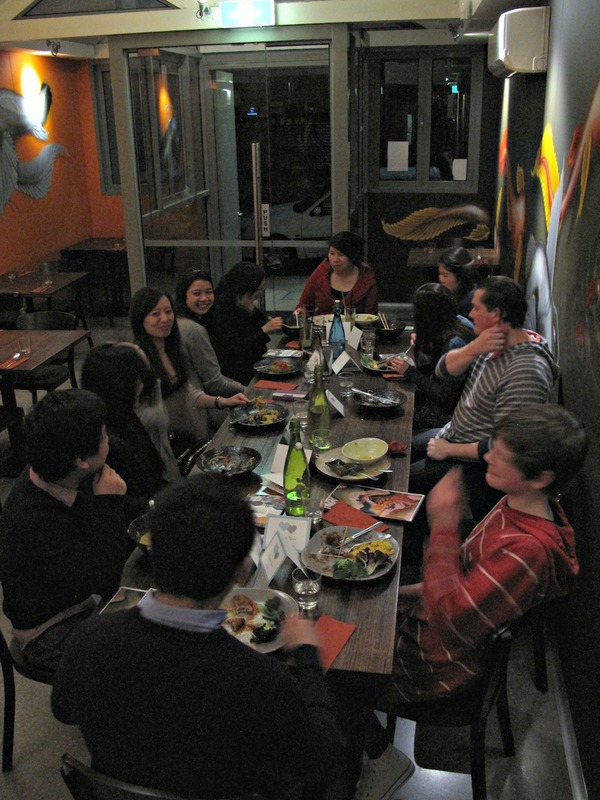 Consider The Sauce Thing 1 was happy to accept an invitation to a gathering at Shakahari Too in South Melbourne. Consider The Sauce Thing 2 was rather less keen. “Vegetarian?,” said he, skepticism plainly writ on his face. “Think of it not as vegetarian but more as Asian food without meat,” father instructed son. The occasion was a group dinner organised by Monique of Mon’s Adventure’s fame as part of her Vegetetarian Mission – and we fully enjoyed the whole night, eating different food and meeting new people. The Carlton Shakahari has been around as long as I’ve been in Melbourne. Despite vegetarian nightmares associated with previous lives in other countries, I was happy to give the South Melbourne branch a shot. But in the end, and based entirely on the main courses Bennie and I selected, I confess his skepticism was warranted. Monique shouted the whole bunch of us an entree called Avocado Magic ($15.50). This tempura dish was lovely, and its deep-fried vibe even impressed Bennie. 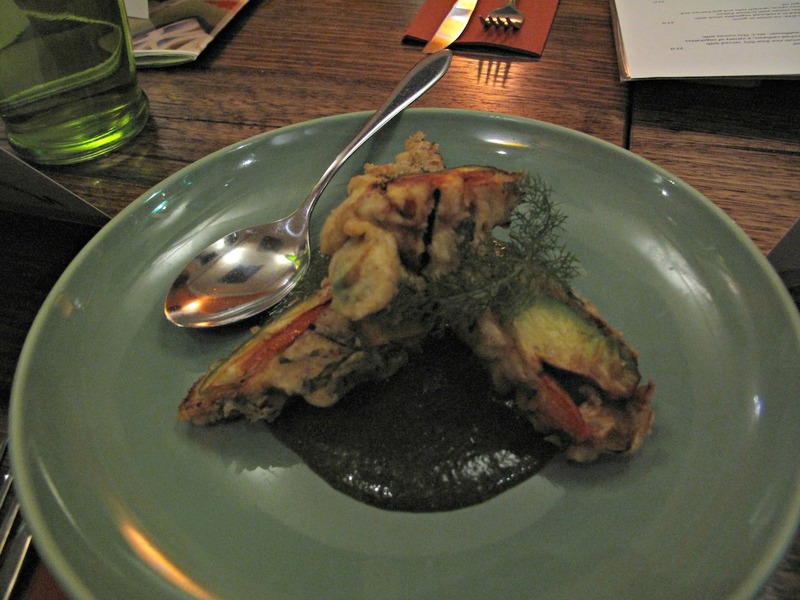 “Avocado wedges and red capsicum rolled in thin eggplant slices, tempura fried in a rice batter” and “served with a jade green coriander and sesame puree” was a terrific, the lusciousness of the avocado an unusual delight. My choice of Nonya Lodeh ($22) was OK but ultimately disappointing. The “lemongrass and fresh spice flavoured brown basmati rice (low GI!) served with tumeric galangal coconut curry with blanched cashews, a variety of vegetables (snakebeans, okra, coloured potatoes, cauliflower, etc)” was probably the most unseasoned meal I’ve had this year. “Bland” is the word that comes to mind. The very mild vegetable pickles and papadam didn’t help. I have cookbooks and recipes I revere that do without onions, garlic and chilli, so I know great food can be produced by doing so. Or it is perhaps that we so very regularly eat such highly charged and spiced food? 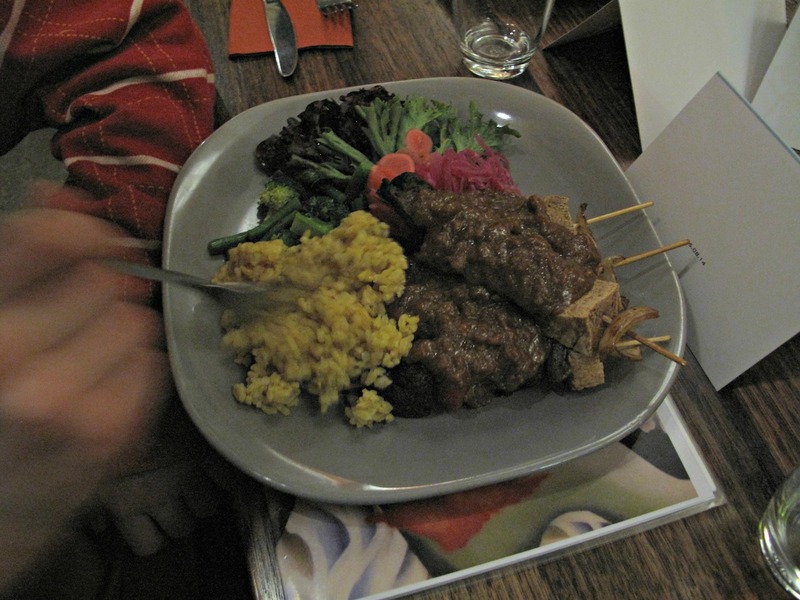 The gloriously rich sauce Bennie’s Satay Shakahari ($20.50 ) tasted fantastic to me. But through eating its “deep-fried skewers of beancurd, seitan (wheat gluten), onion and capsicum dressed with a mildly spiced peanut sauce”, he kept muttering a mantra of “no meat, no meat”. His grumpiness in that regard was no fault of the restaurant or its food, of course. And maybe for a 13-year-old, this eating business means meat most of all. But we both concluded that if we are to enjoy meat-free food – and we do – regular restaurants can and do offer plenty of scope. And often at prices way cheaper than those of Shakahari Too. 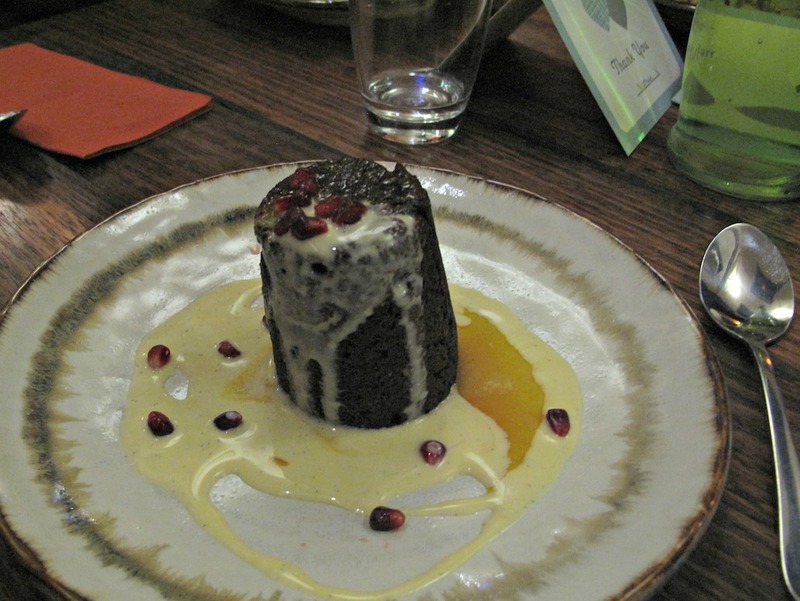 Flourless chocolate, cherry and fig pudding ($15.50) – steamed flourless pudding of port macerated figs, cherries and Callebaut Belgium chocolate was the goods, though it seemed to us a little on the dry side. 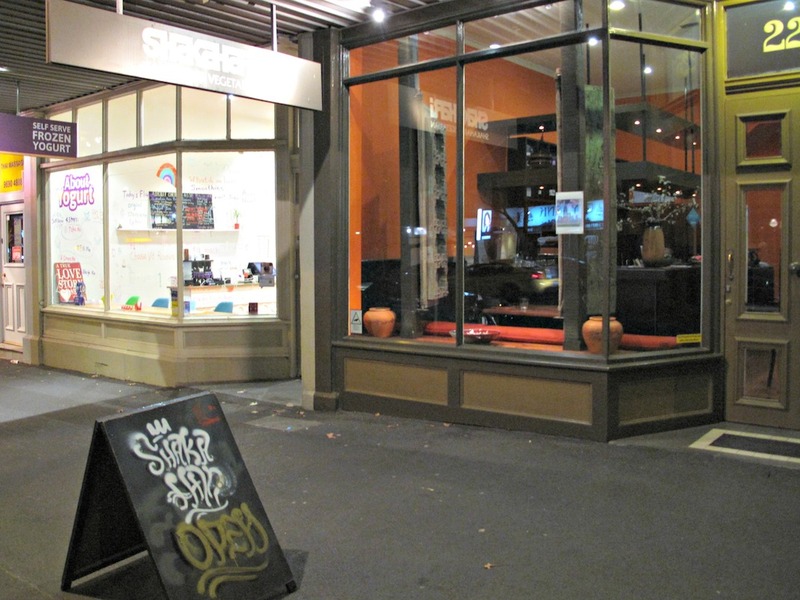 It was an interesting and enjoyable experience, taking one of Melbourne’s most revered vegetarian eateries for a spin. 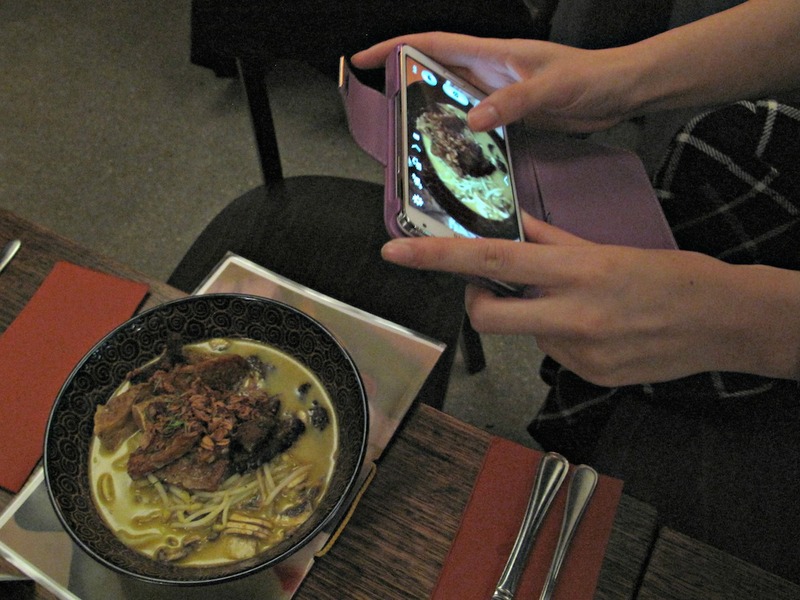 In terms of their meals, the mileage of our dining companions no doubt varied from our own, though one who ordered the laksa (top photo) did express dismay at its dullness. Hi there! It was a good night. And he’ll get over it. Already has! What do you think? Bennie and I eat a LOT of spicy food. Do taste buds get desensitised? Hi Kenny! Three of us went last night. 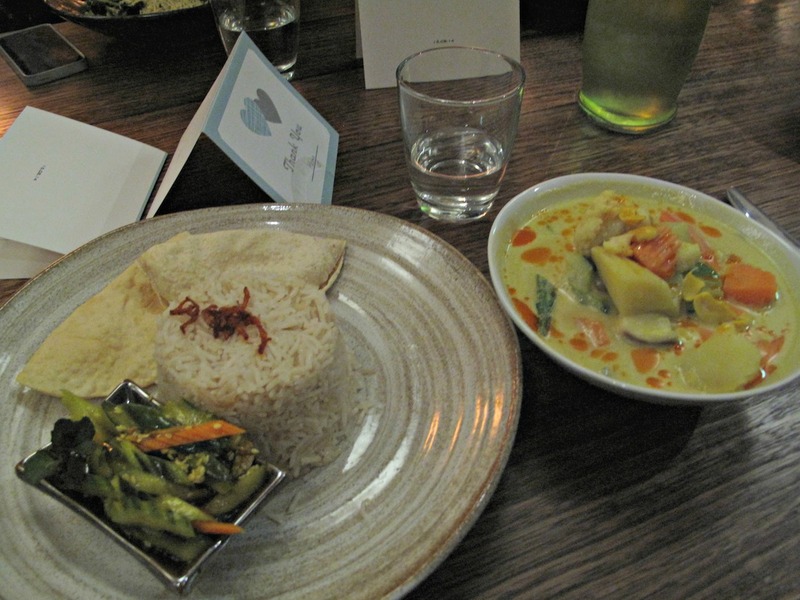 I agree, the tempura avocado and the satay were the standouts – strong flavours and what a great ‘crunch’. But the $36 biodynamic wine is *terrible*. It looks and tastes oxidised. (We tried two bottles just to check …) Drinking unpleasant wine takes the zing out of the whole meal, unfortunately!